6’+ Episode 172 is Up! 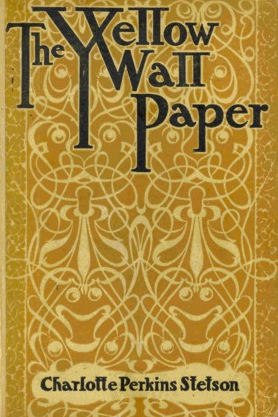 Charlotte Perkins Gilman’s “The Yellow Wallpaper” is a literary classic whose most disturbing aspect is how it was inspired by actual experiences the author had while seeking treatment for depression. While I have heard some people question its status as a work of horror, the numerous adaptations and praise from the horror community say otherwise. The creepypasta community has even adopted it as an early example of their subgenre! The world would be a very different place if Mary Shelley had never written Frankenstein. Since linking to the original would violate this site’s policy against linking to works which were previously used in story sharing posts, let’s look at some modern follow-ups to the tale. “The Last” by Sumiko Saulson takes place immediately after the events of Shelley’s novel while the disturbing “Creature Comforts” by Nancy Kilpatrick catches up with the creature in the 1990’s. The atmospheric “Summer” by Tananarive Due is a personal favorite thanks to her ability to create a swampland setting with a rich, dark history in the span of several pages. As fascinating as the descriptions and prose are, it’s what goes unsaid that has the most power. Although both deal with the concept of sin eating, “Souling” by Sally Bosco and “A Dweller in Amenity” by Genevieve Valentine couldn’t be more different. One is a detailed yet casual look at career aspects of being a sin-eater and the other is a spooky tale of a Halloween gone wrong. I’ll let you figure out which is which. The phrase “Hell hath no fury like a woman scorned” immediately comes to mind when it comes to describing the plot of Christine Filipak’s “The Masque of Sorrow.” Not only has Ms. Filipak lent her talents to many a Nox Arcana album, but this is one of many tales inspired by the album The Dark Tower. “White Rabbits” by Leonora Carrington really puts the “weird” in “weird tale” and seems just as surreal as her paintings. 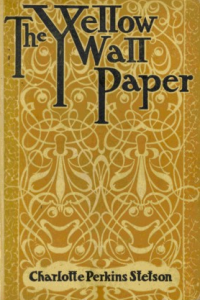 Speaking of weird tales, “The Hall Bedroom” by Mary E. Wilkins (also known as Mary Eleanor Wilkins Freeman) used the idea of mathematical equations and specialized construction leading into other dimensions long before H.P. Lovecraft. Readers of the popular Halloween blog Pumpkinrot are sure to be familiar with the spooky poetry of bean. But what you might not know is that she penned a chilling story called “Flowers For The Dead.” It’s not for everyone, so consider yourself warned. Similarly, Angela Slatter’s “The Winter Children” and Gemma Files’ “Ring Of Fire” are not for the faint of heart due to their gruesome subject matter. Both also never make it entirely clear whether the perpetrators of the stories’ violence are supernatural in nature or mentally disturbed. It’s much creepier that way, don’t you think? Using a giant carnivorous snail as the monster in a horror story might seem ridiculous at first. Why be afraid of something which moves so slowly and therefore can be easily outrun? But Patricia Highsmith shows how such a creature is anything but funny in “The Quest for Black Claveringi.” If her name seems familiar, it’s because she wrote the novel The Talented Mr. Ripley (which inspired the film of the same name). The idea of supernatural events being triggered by trinkets or antiquities is very popular in the horror genre. While both “The Grotto” by Kathryn Ptacek and “The Token” by May Sinclair take this concept and run with it, they go in very different directions. “Consequences” by Willa Sibert Cather shows how ghosts aren’t limited to abandoned houses in remote areas. Sometimes they can be found roaming the streets of a major city! “The Shell of Sense” by Olivia Howard Dunbar shows how sometimes you need a ghost in order to find love again. “Sunset (A Love Story)” by Jeannie Novak also combines romance and the supernatural and, yes, this is the same Jeannie Novak who created Horrorshow: The Complete Collection. But this story has nothing to do with the upcoming short stories mentioned in that article. Amelia B. Edwards is responsible for many classic tales and has firmly established herself as superb writer of ghost stories. “The Four-Fifteen Express” combines aspects of your usual ghost story with elements from courtroom dramas and mysteries for a gripping literary experience. Moray’s nightmares offers a wonderful selection of Gina Moray’s horror flash fiction and the name of the website Darla Hogan: Author is pretty self explanatory. The Bat by Mary Roberts Rinehart has a most interesting backstory. When she was adapting her 1908 mystery novel The Circular Staircase (which had originally been published as a serialized tale in All Story Magazine the previous year) for the stage with her occasional collaborator Avery Hopwood, the decision was made to add a costumed criminal to the events of the story. Using the name of the newly created super villain as the play’s title, “The Bat” became a smash hit and Rinehart soon found herself adapting the adaptation into a novelization. In addition to creating the “old dark house” horror subgenre and acting as a primitive ancestor of the slasher film, the play was adapted into several movies and directly influenced the creation of Batman! S.E. Schlosser collects spooky folklore from all over the United States and “Bloody Mary Returns” offers her own twist on an old favorite. In it, she cleverly explains how such a story can be set in the real world despite people trying the ritual to summon Bloody Mary without getting any results. While most folklore consists of stories whose creators have long since been forgotten, there are those who seem to think removing an author’s name from a story and changing a few details qualifies it as a folk tale or urban legend. One such victim is Lucy Clifford, whose story “The New Mother” is often passed around without giving her any credit. Worse yet, people like to use the opportunity to remove or downplay the fairy tale aspects of the tale in an attempt to make it scarier! It truly is a pleasure to present the original version using a source which actually did the right thing when it came to noting the author. Does the thought of being stranded in a lonely phone booth at night make you uneasy? Then “Collect Call” by Sarah Pinborough must be read to be truly appreciated. Saying anything further would only spoil it. Please feel free to leave suggestions for future installments of this series in the comments. I look forward to learning about more wonderful authors and their works! I just saw this! Even though it’s two years old. Thank you so much for mentioning “The Last” … two years later and during Women in Horror Month, this post is just as relevant as ever. Thank you for bringing the work of women who write in the genre into the light. I was so fortunate and honored as to be assigned to the same book signing time slot as the inimitable Tananarive Due last year at StokerCon. Seeing my name with hers on your blog has me tickled pink.